Synthesis of superconducting YBCO sample after the earliest sintering stage was made possible by employing Y:Ba:Cu = 3:5:8 precursor ratios. Sintering temperatures used were in the range 840–950∘C. XRD well corresponds to YBCO structure. This study suggests that Y358 is a metastable state that requires the formation of Y123 in the early stages. Various morphological structures were obtained using different sintering profile and stoichiometric ratios. Morphology and AC magnetic susceptibility were correlated and compared to YBCO HTS formed using the standard Y:Ba:Cu = 1:2:3 ratios. The length of intra-to-intergranular in-phase response and the degree of out-of-phase (loss) peak shifting to lower temperature is highly dependent to the morphology and nature of grain boundaries. 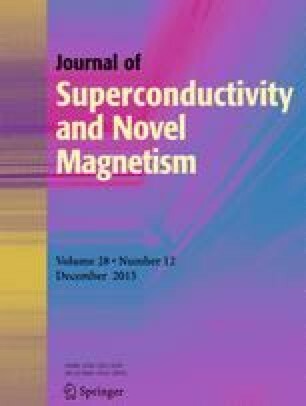 A good control in morphology by optimizing the temperature profile can address various applications such as in superconducting bulk magnets, films, and devices.